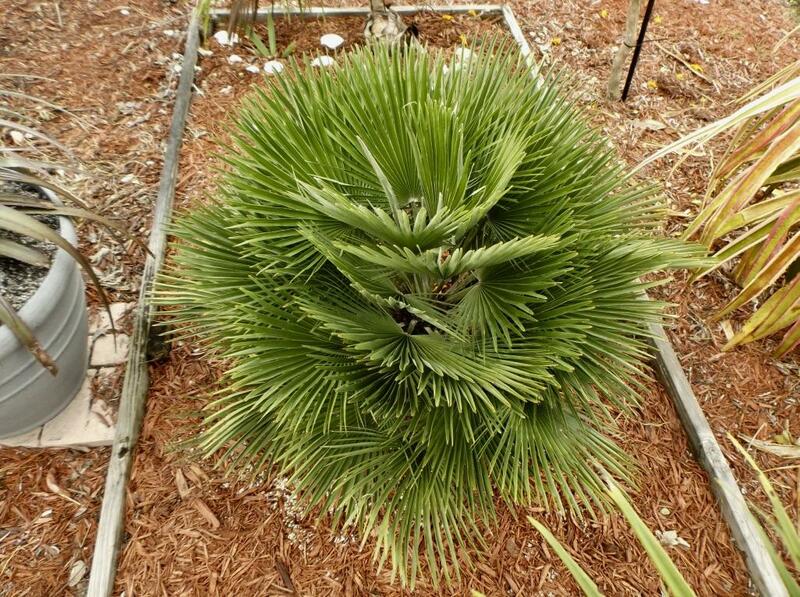 Has anyone found a US souce for "true" Chamaerops humilis Vulcano? I have seedlings. It will be a waiting game for me in order to find out whether the seed was true to type. Yes, this is the problem. I've talked to a couple of sellers who have germinated seed from a reliable source but their seedlings are not at a point where they show the vulcano traits yet. I believe I read where only about 40% of the seed develops the vulcano traits. If that's the case you'd need to buy 3 plants to have a 93.6% chance of getting at least one with the traits. And it may only somewhat resemble the parent plant. But the odds get better the more seedlings you have from the same seed batch. That's the problem, it can take years to find out if you have the real deal or not. The Chamaerops Vulcano trait occurs along a spectrum just as do Areca catechu dwarfs. And the trait occurs in about 40% of Vulcano seeds - that is also correct. About 10 years ago a knowledgable palm friend in Italy sent me 20-25 Vulcano seeds and told me about the 40% rate. Almost all germinated but most turned to be normal size. I gave away the normal ones. Out of all the seedlings I grew, one, maybe two show the classic Vulcano look (see below). The remainder are somewhere in between full Vulcano and normal. If you grow them from seeds, allow at least 2-3 years to be able to sort them out to some extent. If you find an extreme Vulcano, expect to pay a premium. If you find an extreme Vulcano, expect to pay a premium. That makes perfect sense. Based on your experience only about 10% of seedlings might develop into a beauty like yours! The palm nursery by me has some big ones, but they are 100% not for sale. He's using them for seed stock, but no small ones for sale yet. I have been growing them for 10-12 years. The problem is very few turn out to look like a 100% Vulcano form. My adults are now 3-3.5 feet tall, grown from seed. I should have a few three gallon size sporadically throughout the coming year. If anyone is interested they can contact me privately.